Oh, so you call yourself a real Harry Potter fan. I see. Well, if that bold statement rings true, you'll be 100% down with this fall trend. Color me obsessed, but one of my favorite things to do in life is to find Harry Potter resemblances where they should not exist, especially when it relates to fashion. Gucci's F/W 18 collection had me completely shook as model after model strongly resembled a character from the Harry Potter films. Ever since I've kept an eye peeled for the next Harry Potter–inspired fashion moment, and I have finally found it. This fall, get ready for a trend only true Harry Potter fans would have picked up on (so yes, I think I'm a true Harry Potter fan). The trend I speak of is one I have named "Hogwarts Pride." The trend is more of an overall aesthetic speaking to the ensembles typically worn whenever school spirit was necessary. 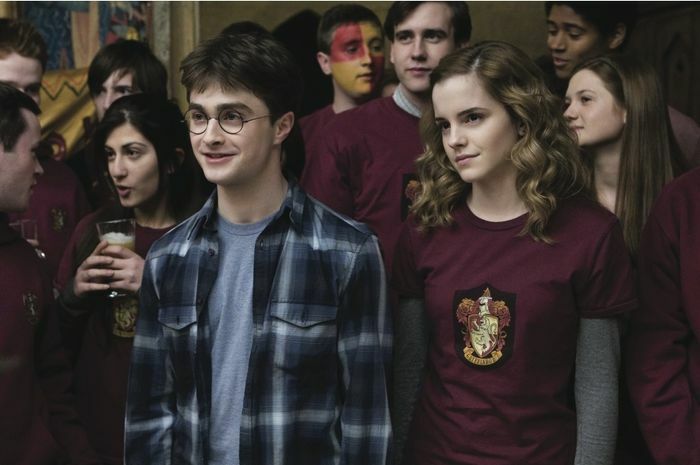 Be it a Quidditch game, the Triwizard Tournament, or a gathering of Dumbledore's Army, there was a specific aesthetic ever so present during these times. I'd like to think designers took inspiration from the iconic films, but I can't say for sure. Either way, the resemblance to the traditional Hogwarts school garb seen on the runway this season was next-level identical, and I can't wait to show you. Below, take a look at a few stills from the films that perfectly capture what I'm talking about, including the F/W runway imagery to go with it. All those first years bundled up in beanies, scarves, school sweatshirts, varsity jumpers, tracksuits, and so much more is in store for you ahead. 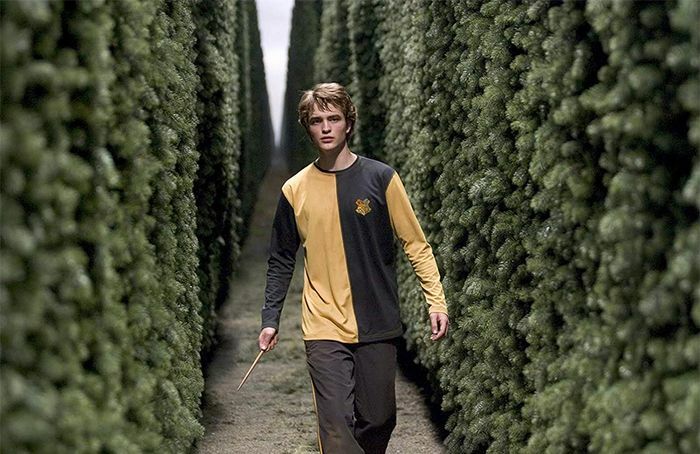 Cedric Diggory rocked a matching track-inspired suit better than any of the competitors participating in the Triwizard Tournament. Yes, he might have been the biggest heartthrob of the four, but that's beside the point. Those Gryffindor scarves are a look that will go down in history. A combination of just two bold iconically colored stripes, those scarves defined school spirit. Slytherin haters, be warned—the house-inspired coat you're about to see might make you want to switch houses. Now this is what I call doing school spirit in style. Grab your cloaks, beanies, scarves, flags, and lion headpieces, and you're ready for a damp afternoon of Quidditch watching. Luna Lovegood is my favorite character. With her relationship with nargles and how boldly she rocks that Gryffindor headpiece, what's not to love? Ah, young love. If this isn't relationship isn't #goals, I don't know what is. Heading to Hogsmead for the day but have nothing to wear? Anything corduroy, plaid, or quilted should do the trick. Last but not least, we have Harry's look while he was racing against the then-unknown Voldemort ticking time bomb. We like Cedric's outfit better, but we're leaving you with this for good measure. Next up, shop the latest version of the puffer jacket.